From a very young age I had a keen interest in farming. I grew up on a dairy farm where I learned the ropes from my father who had learned them from his father before him. It was this interest in farming that guided me along the career path into the Dairy Industry. My roots in farming inspired me to feed a curiosity about all aspects in agriculture through my degree and subsequent Masters in Animal Science. Having completed my studies I felt it was then time to get back to my roots and apply my studies back to the farm. I was grateful to be given the opportunity to work directly with farmers daily as a Milk Quality Advisor with Dairygold Co-Operative Society. In my job no two days are the same as priorities change depending on the time of year and seasons. A typical day begins at 7:30 am when I arrive at the office, check emails and suppliers’ results and prepare for my day ahead. Once milking duties on the farm have ended after morning milking I arrive at the farm and it’s on with the boots to meet the farmer and his family. The farmer and I work together to address the issue/s be it from a TBC, SCC, Thermoduric or TCM concern. Sometimes a farmer may ask me to visit his farm to help him to improve or implement different routines or suggestions in the milking parlour during milking. It is always great to revisit the farmer and see how the improvements have worked out or indeed how they need to be altered. We also have our own “Oscars” Awards night – an opportunity for me, and of course our farmers to get out of our wellies and get dolled up for a special night. The Milk Quality Awards is a night where the best farmers are recognised for their hard work and dedication from which the highest quality milk is produced. My job of helping farmers to implement best practices on their farm is thoroughly rewarding. I’m proud to work so closely with farmers on their journey to realise the full potential of their farm. 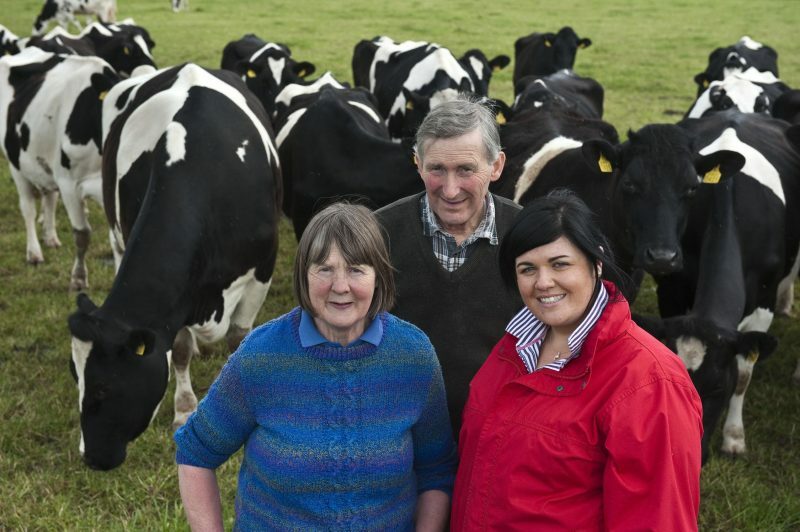 I feel lucky to work for a company like Dairygold Co-Op whose everyday goal is to maximise the income of its farmers for their dedication and farming efforts. My role is among the many within the organisation that is fully dedicated to supporting farmers. It’s a role of responsibility but great rewards both personally and professionally.